It is great to see Oborne Health Supplies, in their August newsletter, reminding everybody of the regulations around extemporaneous dispensing of herbal liquids, and what we absolutely should not be doing. The exemptions relating to extemporaneous compounding and dispensing apply where a health practitioner prepares a medicine for an individual patient either following consultation with that particular patient, or to fill a prescription for that particular patient. This allows health practitioners such as pharmacists, herbalists, naturopaths, nutritionists and homoeopaths, to prepare medicines for individual patients that do not need to be assessed or evaluated by the TGA for quality, safety or efficacy. The exemption recognises the one-off nature of such medicines and the professional training of the health practitioner to prepare a medicine for the specific needs of an individual patient. blend and dispense dry herb combinations for the specific needs of an individual patient. blend and dispense liquid extracts and tinctures into specific formulae for the needs of an individual patient. create and dispense other herbal preparations specifically for the needs on an individual patient. making herbal liquid formulae in bulk and selling unchanged to a range of patients or even other practitioners for their patients. Thanks Ian, sometimes it gets a bit confusing whe trying to make commercial decisions and forgetting the ethics due to being unsure do the regulations. A quick reminder keeps us all on track. Thanks Oborne, who do a great job in education, and thanks Ian for your skills in allowing us to trust your advice. Gab. So is the government saying we are not allowed to have so many clients that we must prepare for orders. I would simply not be able to keep up with my orders if I didn't pre-mix. This government is controlling us into not being able to run our business. Thanks for your reply, but I think you may have missed the point. This has nothing to do with the government trying to control us, it is simply the TGA doing what it is supposed to do, which is minimise the risk to the public. They are not saying that a practitioner cannot make up repeat formulations for a patient they have seen. In fact they specifically mention that this is ok. But they do take issue with preformulating medicines, and then giving those to people, or formulating and then dispensing without a consultation. Which I do agree with - not only would such practices step outside of the philosophy of individualised care, it would be bypassing the regulation of medicines in Australia. Thanks for your reply Ian, yes it is sometimes hard to work out what they are saying. Can you clarify - for example I have many Patients who take Liver Herbs, I have 8 favorite herbs which I continually repeat so each month I make the amount for the clients I know will come back for their prescription. Usually I have to make 8 Ltrs - all the Patients who take this Tonic have been for a Full Consultation and I repeat the consultation every 3 to 6 months depending on the state of each Patient. Does this fall within our rules. 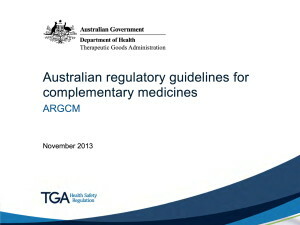 If this formulation is specifically for the individual, and that has been determined after a consultation, and obviously you are monitoring the progress of the patients and if necessary adjusting your prescription, then that sounds like it falls within the requirements for extemporaneous dispensing as outlined in the Australian Regulatory Guidelines for Complementary Medicines. Have a look at page 18 of the document (the link is in the original post) for the full description from the TGA as to the exemptions for extemporaneous dispensing. So what is the difference between a Tincture (that is not allowed to be made in bulk and sold to all) and Rescue Rememdy which is made in bulk and stocked in supermarkets ?? 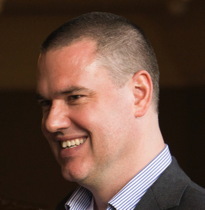 Whilst I am not an expert in Bach flower remedies, my understanding is that Rescue Remedy is a product which is listed on the Australian Register of Therapeutic Goods (ARTG) and thus is required to comply with Good Manufacturing Practice as stipulated by the Therapeutic Goods Administration (TGA). You can find its listing here: http://tga-search.clients.funnelback.com/s/search.html?collection=tga-artg&profile=record&meta_i=148318 So this is quite different to extemporaneous dispensing of herbal liquid extracts or tinctures.